If you have ever had to pull ivy off a tree, you may have wondered how to control invasive species in your yard. Here in the south, we have a plant called kudzu that thrives in the summer heat. Haven’t ever seen or hear of kudzu? It is often called ‘The Plant that Ate the South’ for a very good reason! This vine can grow at an alarming rate, taking over just about every surface it comes across. Hills and valleys, electrical poles and trees, houses and cars…nothing stands a chance against this fast growing vine. If the south doesn’t start paying attention to invasive species control a little bit better there won’t be much of it to save! We have a few weed warriors around who fight the good fight but they are losing the battle, unfortunately! 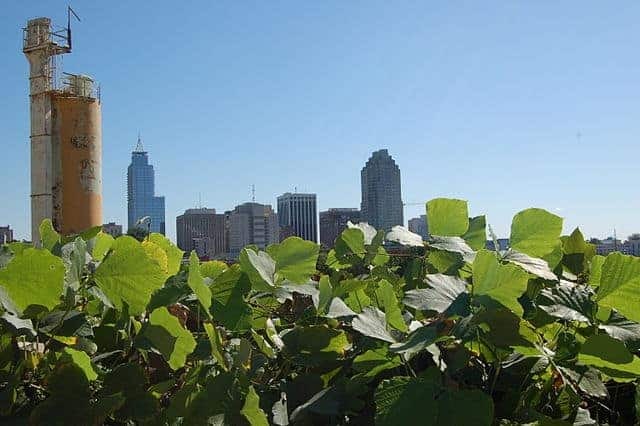 Kudzu is actually native to southern Japan and southeast China so how did it end up eating Georgia? Well, somebody thought it would be a good idea to import it to this country and use it as a form of erosion control. Great idea, right? Well, kudzu is now spreading at the rate of 150,000 acres every year. It was a really bad decision! Our climate is perfect for kudzu and it is thriving. People are continuously looking for creative ways to use it. They weave its’ vines into baskets, let their goats graze on it, and scientist are trying to identify any medicinal uses it may have. Regardless of how useful (or useless!) 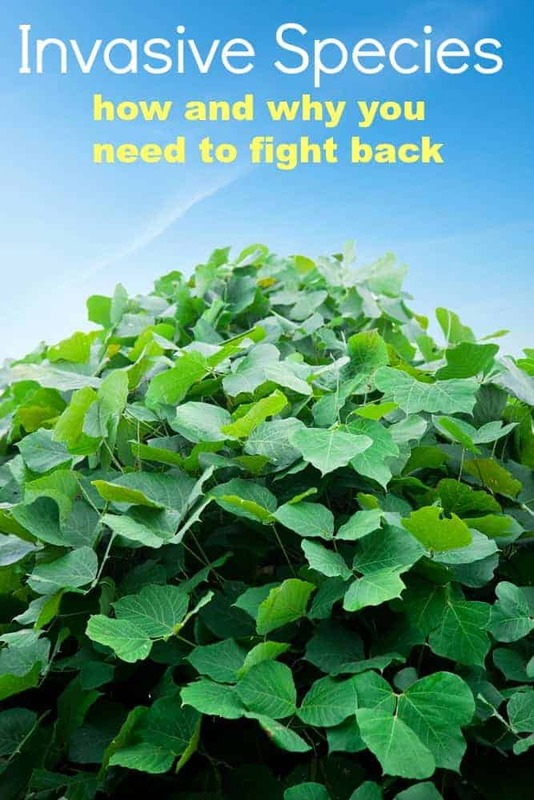 it turns out to be, kudzu is here to stay, no matter how hard the weed warriors work at fighting it! How did it get out of control? Well, apparently most wildlife (including bugs) find it unpalatable. Without a natural enemy to contend with, it can continue to grow at a rate of up to a foot a day. Nobody realized when they brought it here that the south had no critters that wanted to eat it. 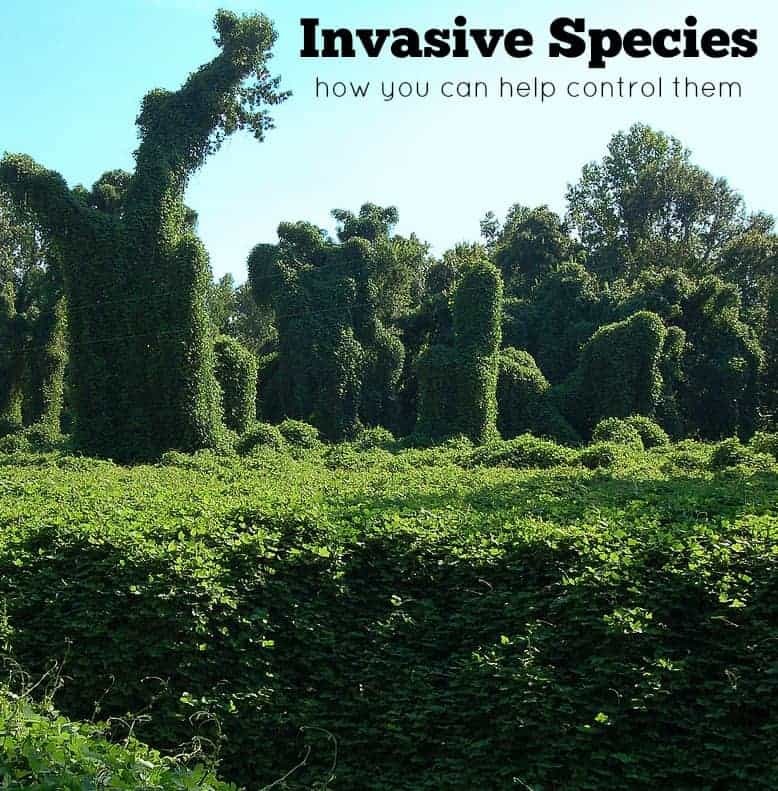 Want to know how to control invasive species? Don’t bring them here in the first place! Why Worry About Invasive Plants? 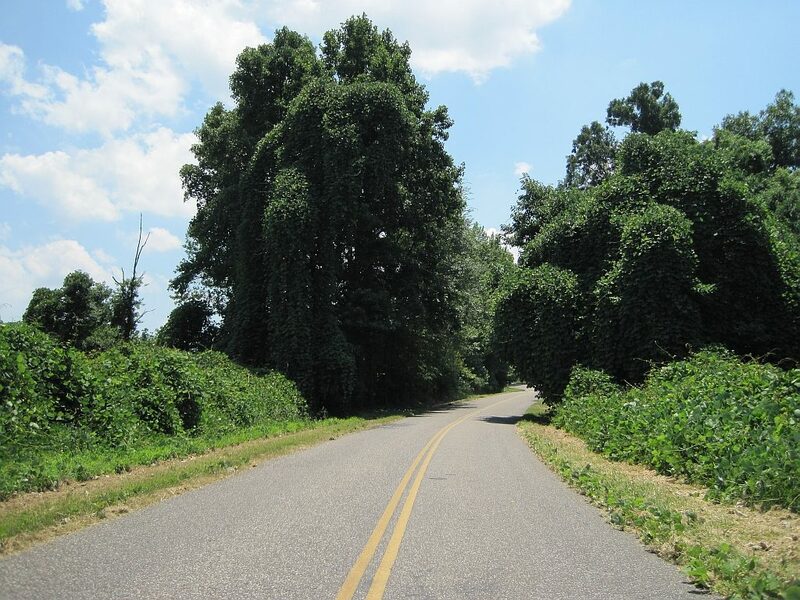 Kudzu is just one of many examples of an invasive species gone wild. The National Agricultural Library lists almost 50 invasive plants currently growing in our country that don’t belong here. And that doesn’t include aquatic plants. Add in another 60 or 70 invasive animal species and the estimated damage from invasive species worldwide totals more than $1.4 trillion. 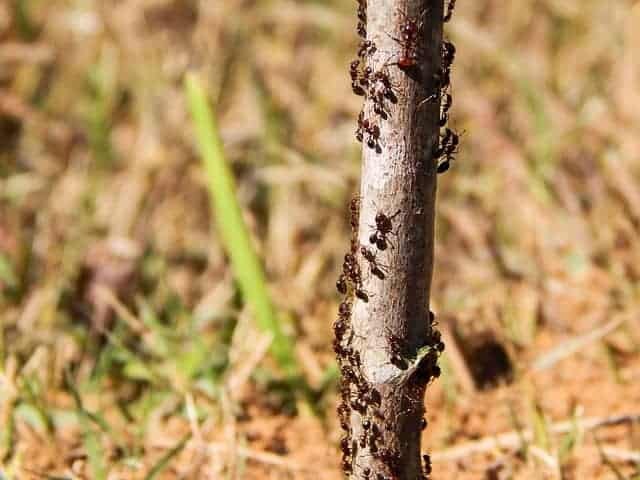 The wonderful Red Fire Ant is on that list and I can honestly say that I would pay someone good money to remove that vile creature from my yard! And the Asian Carp is doing massive amounts of damage to the Great Lakes. So, why is invasive species control so hard? Well, our world continues to become more and more interconnected every day. Planes zip from one country to another carrying people, pets, and plants back and forth across the borders. We ship our food in crates half way across the world so that we can indulge in exotic foods. We bring animals from foreign countries to live in our zoos so that we can learn more about them and show them off to people who will never see them in the wild. There is no way to sterilize and completely examine every item that crosses our borders. Inevitably, we will miss an occasional stowaway. That stowaway may be the next invasive species to crowd out and take over something that has lived here for centuries. We need to learn how to control invasive species before they do any more damage to local communities. Every time an out of control invasive plant takes root, it crowds out native species that were previously thriving. Check out your county’s Cooperative Extension Office for local invasive species information. Learn which species you need to be concerned about. Report anything you find so they can keep track of the spread. If you find anything growing in your yard that is on the list, remove it! Take care when traveling…You may think it is a great idea to bring Aunt Matilda in California some fresh flowers from your garden here in Georgia but you may very well be bringing along a stowaway and not even realize it. When learning how to control invasive species, you need to remember not to become part of the problem. If you are planning a camping trip in another state, buy your firewood when you get there instead of bringing your own from home. You never know what might be hiding in that old log! You may also want to clean off your hiking boots between trips so you don’t track seeds and soil from one trail to another. Volunteer Coordination and Outreach Tools The Nature Conservancy. A Homeowner’s Guide to Preventing the Introduction and Spread of Invasive Species University of Georgia. Center for Invasive Species and Ecosystem Health. Since it looks like Kudzu is here to stay, how about we find some more creative uses for it? Check out this recipe for Kudzu Jelly. Maybe if we find enough people willing to eat it we can keep it from taking over the rest of the south! Do you have any other tips on how to control invasive species? Your post reminds me of my first visit to Cali when we crossed the state line, the officer asked if we had any "fruits or veggies in the car". I thought it was odd and was a lil' disheartened I had to pitch my fruit but your post makes it all make sense. One little seedling can change the entire agricultural landscape of an area. Excellent post! Whenever we do a garden, we try and find native species. Luckily in Florida there are a lot of beautiful ones to choose from! Invasive/introduced species are such a big problem! In Australia, we have the cane toads. A wonderful post on a subject that is, sadly, very rarely discussed. I live in the Pacific Northwest among the magnificent, ancient Sequoia Sempervirens (coastal redwoods). We have a desperate problem here with pampas grass, vincta (periwinkle) and English Ivy (from my home country I am loathe to say). A couple of years ago I was visiting England with a friend from California and we met with a good friend of mine who is very well versed in all matters horticultural. My Californian friend was vehemently making disparaging comments about the English Ivy destroying the redwood forests. My English friend calmly said, ''You need sheep. They'll gobble up all the ivy for you.'' ''But it goes all the way up the trees!'' my CA friend exclaimed. My English friend calmly sipped her tea and replied, ''You need sheep on stilts.'' Even though I am yet to persuade a farmer to let me put stilts on his/her sheep I would like to try this novel approach to saving our beloved forests! Thank you for your wonderful and informative blog. We have ivy here in Georgia that is decimating some of the trees. It isn't as big a problem as the kudzu but still a problem. We are out every few weeks in the yard pulling it off the trees. I wish I could have sheep but I think my home owner's associates would frown on it! So glad you enjoyed the post! ... and the rabbits, cats, and multitude of unadvisable animals and plants the POM's introduced to beautiful Australia. I despise kudzu. I have heard that people make jelly out of it. But when I moved to Atlanta 10+ years ago and saw how it damaged the trees along 400 I was horrified. Nasty thing.